Most municipalities are now finding that addressing the UHI (urban heat island effect) is a major challenge. However, an Arizona State University report has brought to the fore debate around a number of common assumptions about whether reflective pavements are able to mitigate UHI. Reflective surfaces essentially redirect solar energy- this is also the reason why “cool” roofs are considered to be an important tool to mitigate the UHI (urban heat island effect). There have been some efforts to apply this same principle to pavements; unfortunately it overlooks the complex nature of urban geography. After all, pavements are at a ground level and the reflections are bound to interact not just with pedestrians, but with the built environment as well as vehicles. Whenever any new products & materials or building/road construction techniques are used in the real environment, a lot of scientific and engineering research is also carried out to track the effects that these advancements have. Unfortunately, in the case of reflective pavements, research hasn’t moved as fast as the promotional efforts for these installations have. The report indicates that though reflective materials cool the surface of pavements, they can have negative social and environmental effects on areas that are adjacent to the pavements. The assumption that reflective pavements will perform just as reflective roofs do, is incorrect. When the energy gets reflected from the surface of the ground, it reflects at pedestrians and buildings, unlike roofs, where it gets reflected into the skies. Therefore the problem of heat concentration in the urban areas is a multi-tiered problem; it needs a solution that will look at various mitigation strategies. There is now an increasing body of evidence of certain unintended consequences of these reflective pavements and the range of negative impacts they have on energy usage. 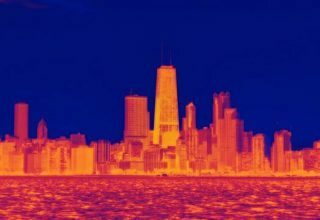 With this in view, green construction codes’ developers are now being urged to eliminate provisions which offer credits for urban heat island effect mitigation based only on the reflectivity of the pavement.